Ferguson’s heritage home is designed with a traditional and timeless aesthetic, as well as some Americana to pay tribute to her roots. The bright and open living room retains much of the home's original character, while incorporating new elements such as throw pillows and coffee table books. Photography by Jared Sych. For as long as she can remember, Erin Ferguson has always had a thing for character buildings. Born and raised in Arizona, Ferguson moved around the United States before settling in San Francisco – basically a mecca for quaint, heritage homes. After serendipitously meeting her future husband while on vacation, Ferguson relocated to Calgary, her husband’s hometown, to settle down and start a family. While house-hunting in Calgary in late 2012, Ferguson knew she wanted a home that had historic roots and would fit her more traditional and timeless aesthetic. She chose to look only at century-old homes and instantly fell in love with a four-bedroom, three-bathroom sandstone colonial in Elbow Park. “It immediately felt like home to me,” she says. 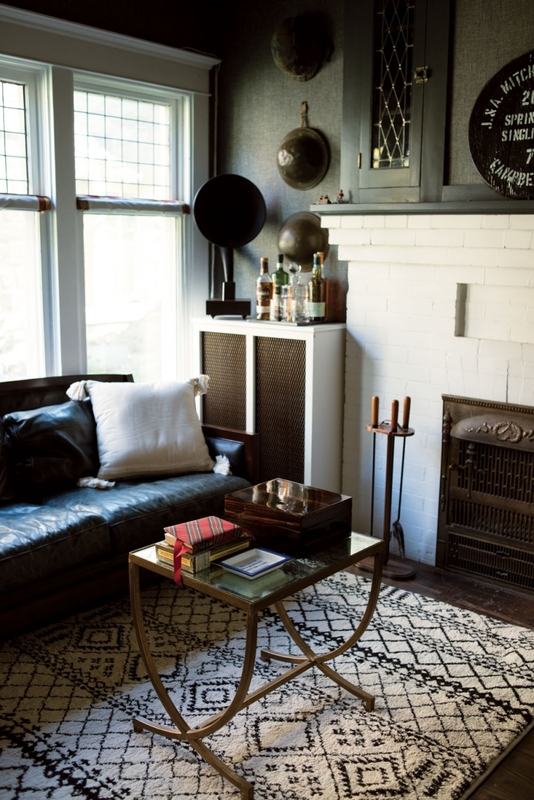 “Every detail that was original to the house, like the lead windows and old – and functional – fireplaces, made me want it more. The original bones are still here and I love it. Now, as a busy mother of two young boys, Ferguson divides her time as a stylist specializing in children’s wear and acting as co-owner of (pre)shrunk baby, children and maternity consignment. The 2,700-square-foot home sets the stage for her family gatherings, her children’s playtime and her consignment clothing business. Ferguson’s decor choices are consistent with the style of her 1912 home. 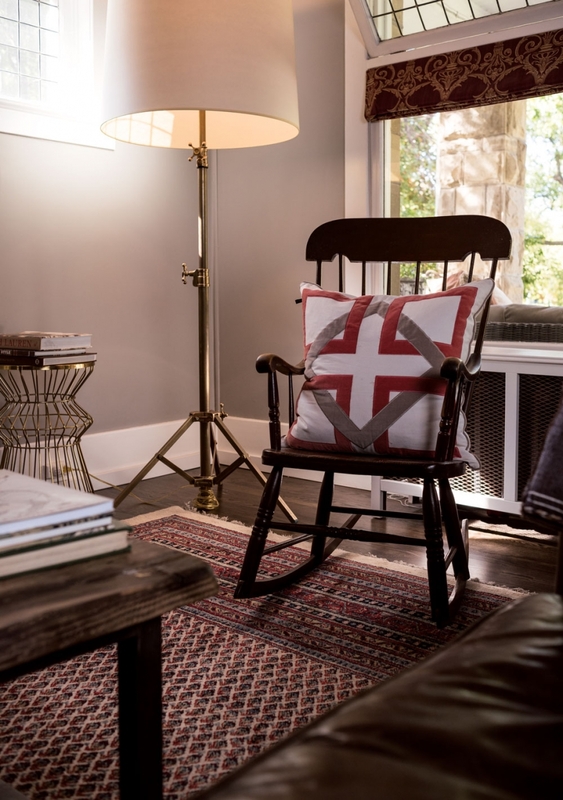 For the living room walls, she chose Benjamin Moore‘s “Ever Classic” – a colour she says is the perfect neutral, especially when paired with the old hardwood floors and the strong character elements throughout the space. 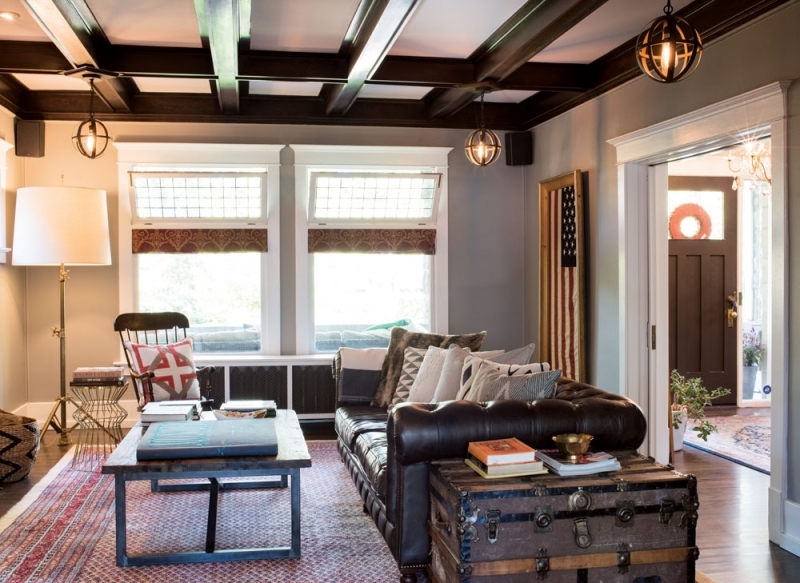 As a tribute to her home country, Ferguson infused a bit of Americana in the living room with an antique American flag, which is housed in a rustic wooden frame. When seeking out unique pieces and inspiration for her home, Ferguson says she looks “absolutely everywhere,” from Restoration Hardware and Target to antique shops; and, in particular, she cites using her own experience in retail merchandising as a source of inspiration. Creating vignettes in various colour schemes and styling in a way that makes you think, “I want one of everything!” is Ferguson’s own brand of interior design. Those holiday gatherings and family dinners are fundamental to the Ferguson household and their love of entertaining. The house, which has likely seen its fair share of parties in its 100 years, certainly sets the stage for it. Ferguson’s favourite holiday is American Thanksgiving in November, and it has become a family tradition to celebrate it in a big way each year. 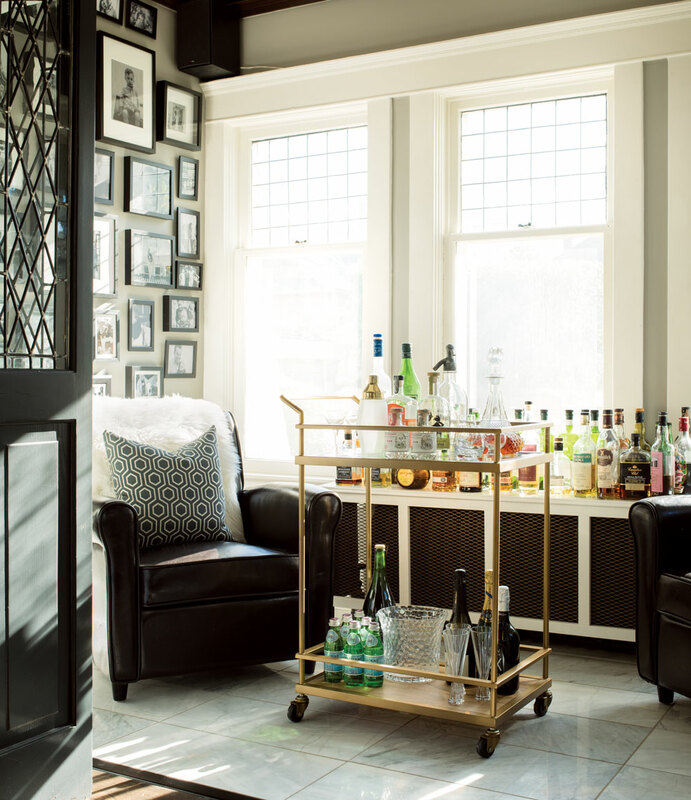 Big, sunny windows, which are original to the home, set a quaint backdrop for the impressive home bar. 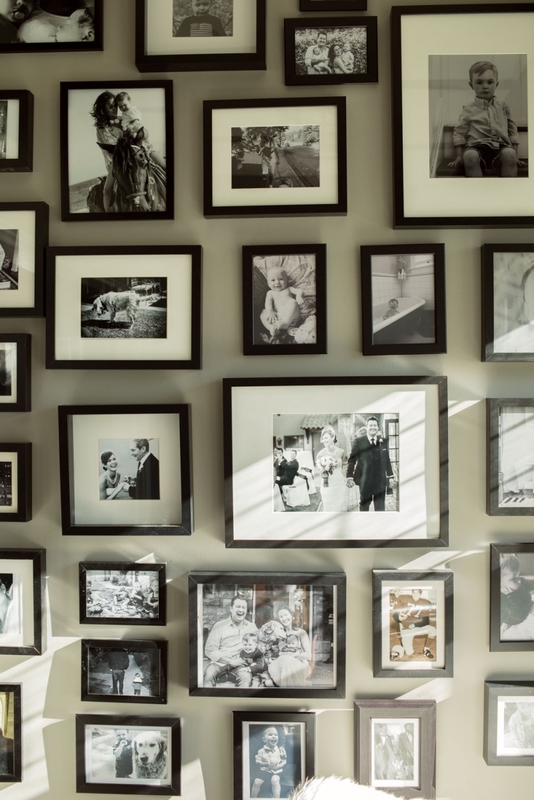 The family-tree gallery wall includes photos of many of the family’s special moments. 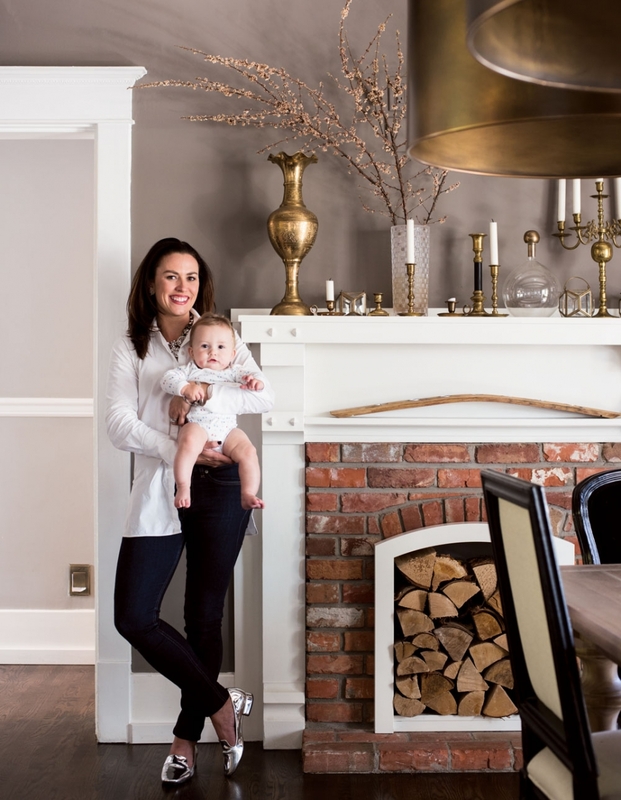 Homeowner Erin Ferguson (with baby Magnus) loves objects that have sentimental meaning. Each brass candlestick on the mantel has its own story. 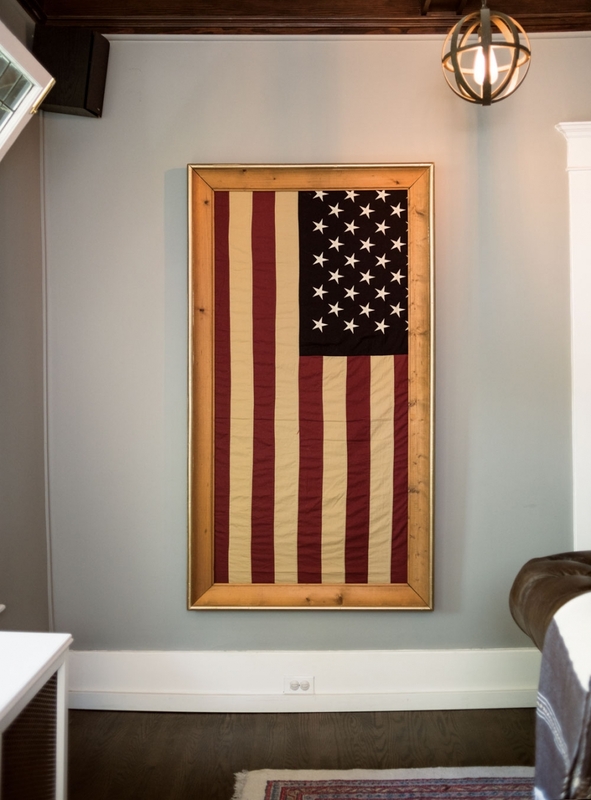 Paying tribute to her home country and her love of classic Americana, homeowner Erin Ferguson recently hung this custom-framed flag. The antique rug in the living room is one of Ferguson’s treasured finds from a trip to Palm Springs. 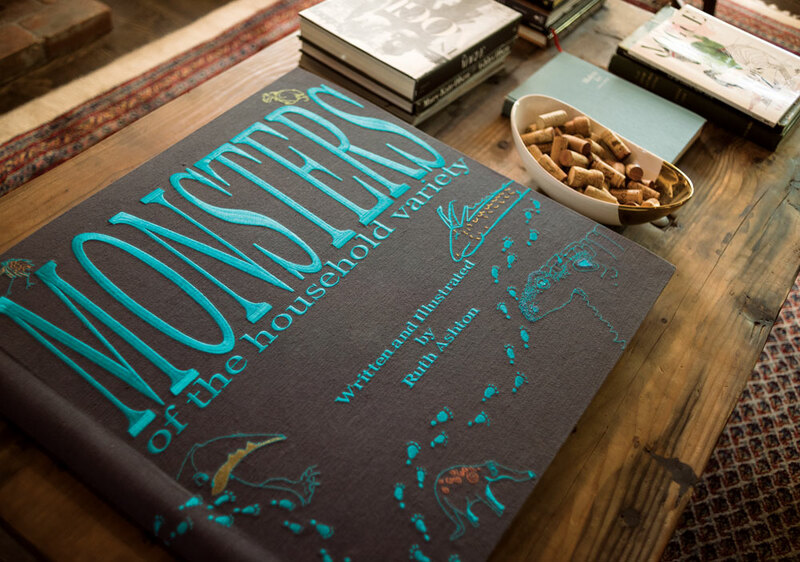 Ferugson purchased this oversized coffee table book from Anthropologie. 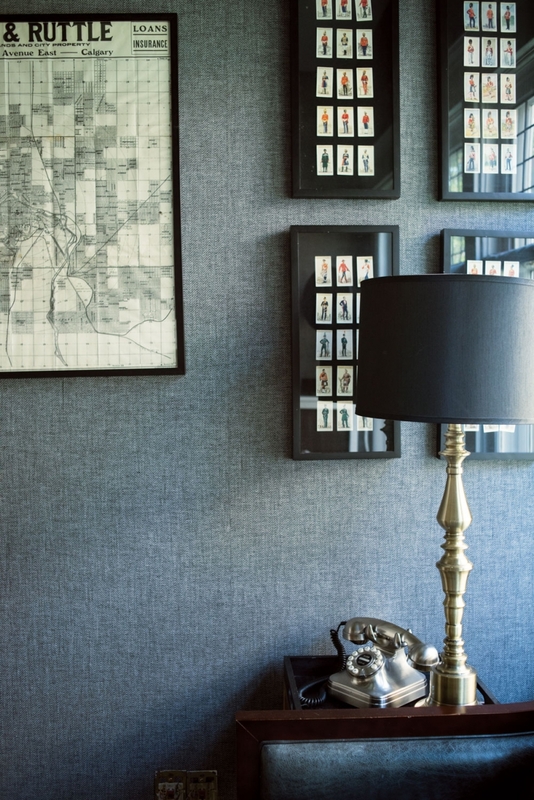 The study features several antiques such as a 1910 realtor’s map and framed World War II cigarette- package soldiers the couple found at a flea market in Toronto. Baby Magnus’s nursery is bright and playful with a wall-to-wall chalkboard for future doodling. 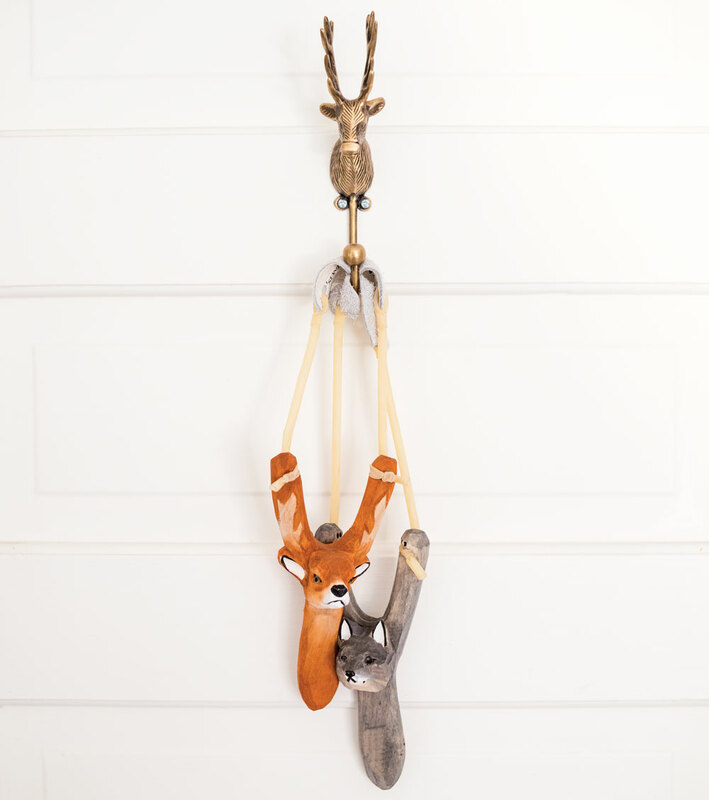 Whimsical decor elements prove kids’ rooms can be cute and stylish. Gunnar enjoying the home’s sizeable entryway.